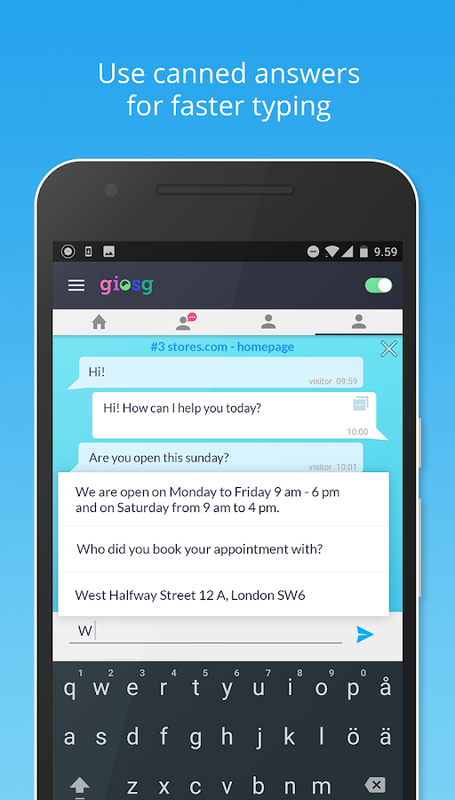 New mobile interface for Giosg live chat users (active subscription needed). Interact with visitors on your own, and on your partner’s website, when and where you want. Perfect for mobile professionals, sales reps, real estate agents and car dealers who spend a lot of time on their feet and possess valuable information that can make or break a potential deal. Get notified when a customer is waiting to start a chat conversation on your website or on your partner network. Have a proper conversation while on the go or provide timely and accurate response to visitor’s question and turn him into a lead. Have a chatbot or one of your teammates handle most of the conversations and only get involved when your experience is needed. You can change your presence status to match your current situation and decide whether you want to appear available for all conversations, teammate invites only or offline. Save your most frequent replies as canned answers with two clicks. 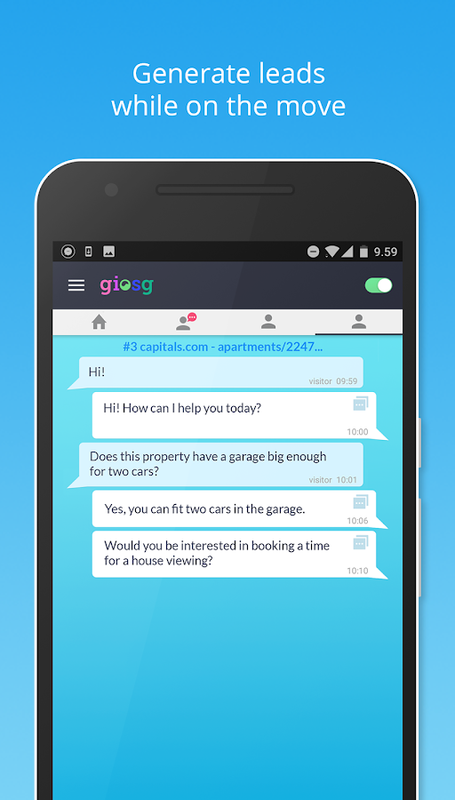 Access them during a conversation and send the best answer to a visitor with a click. You can also edit the reply before sending it, if needed. 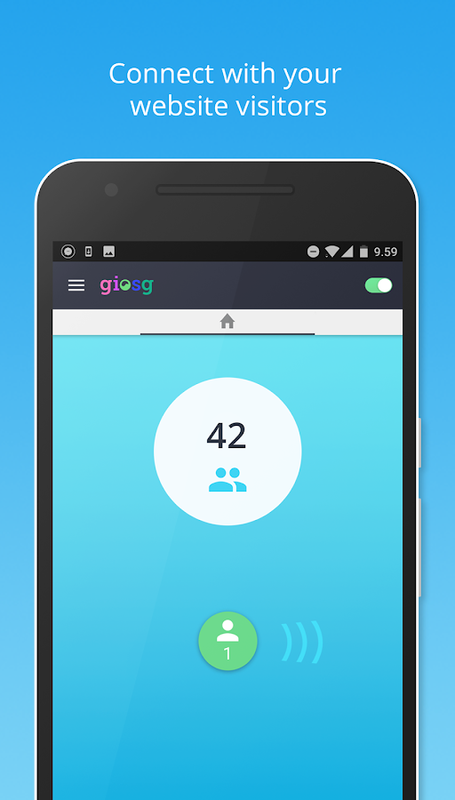 The conversation history is saved to your device and in giosg console, so your your entire team can access the conversation the next time the same visitor is on your site. All reporting is automated and accessible from giosg console, meaning there’s no admin work related to mobile chatting.